Venelin Dimitrov is an entrepreneur who was selected to join the Endeavor Network in March 2016. 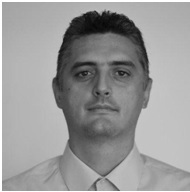 Venelin is the founder and CEO of SoftGroup (www.softgroup.bg), a Bulgarian company which provides an end-to-end mass serialization software and hardware solution for pharmaceutical companies. SoftbGroup’s solution allows for tracking of individual items through a unique serial numbers which aim to ensure regulatory compliance. The company’s offering is especially relevant to the newly enacted Delegated Act of the Falsified Medicines Directive 2011/62/EU from February 2016 according to which all manufacturers of drugs sold in the EU must introduce serialization by 2019 to help prevent the spread of counterfeit medicine. SoftGroup has already implemented and validated its mass serialization software and hardware solution at Actavis’ biggest production site located in Bulgaria, as well as across multiple other manufacturers in the region.